Tomato (Lycopersicon esculentum Mill.) (Solanaceae) is one of the most economically important vegetable crops in the Red River Delta (RRD) of Northern Vietnam. The recent market demands for tomatoes in both domestic and overseas markets have led to an increasing cultivated area for the crop in the RRD. To support growers in producing healthy and quality produce, this paper presents in detail the agronomic requirements of tomatoes regarding temperatures, light, water, suitable soil types and nutrients. Cultivation techniques are discussed to provide a general guide for developing appropriate management strategies, depending on specific soil types, cropping seasons, cultivars and availability of resources. In addition, six major pests have been defined, providing useful information for developing an integrated pest management (IPM) program for tomato production in the region. ACIAR. 2008. Biological Control of Weeds: Southeast Asian Prospects, Australian Centre for International Agricultural Research: Canberra. Bosch OJH, Nguyen NC, Ha TM, Banson KE. 2015. Using a systemic approach to improve the quality of life for women in small-scale agriculture: Empirical evidence from Southeast Asia and Sub-Saharan Africa. Paper presented at the 3rd International Symposium on Advances in Business Management Toward Systemic Approach, 21-23 January 2015. , Perugia, Italy. In Dominici et al. (2015) BoA-B.S.LAB-2015: 280-285. Burgess LW, Knight TE, Tesoriero L, Phan HT. 2008. Diagnostic manual for plant diseases in Vietnam, Australian Centre for International Agricultural Research (ACIAR): Canberra. Dam Bv (ed). 2005. Cultivation of tomato: production, processing and marketing Digigrafi: Wageningen. FAO. 2002. Crop water management: Tomato. http://www.fao.org/landandwater/aglw/cropwater/tomato.stm [24 August 2009]. Ha MT, Nguyen TBN. 2013. Current situation and solutions to clean vegetable production and sales in Thai Nguyen province. Journal of Science and Technology 111(11): 57-61 (in Vietnamese). Ha TM. 2007. Research on bioslurry use in tea production in Thai Nguyen province. Final report to the National Biogas Program, A joint program between MARD and SNV: Hanoi, Vietnam. Ha TM. 2011. Production of safe vegetables in Thai Nguyen province - Technical report, Australia Award Alumni Program - Small Grant Scheme No. 16: Thai Nguyen. Ha TM. 2014a. Effectiveness of the Vietnamese Good Agricultural Practice (VietGAP) on plant growth and quality of Choy Sum (Brassica rapa var. parachinensis) in Northern Vietnam. Aceh International Journal of Science and Technology 3(03): 80-87. Ha TM. 2014b. Establishing a transformative learning framework for promoting organic farming in Northern Vietnam: a case study on organic tea production in Thai Nguyen province. Asian Journal of Business and Management 2(03): 202-211. Ha TM. 2014c. Evaluating Production Efficiency and Quality of Leafy Radish Cultivated according to the Vietnamese Good Agricultural Practice (VietGAP) Guideline in Northern Vietnam. International Journal of Development Research 4(11): 2219-2224. Ha TM. 2014d. Production Efficiency and Quality of Mustard Greens (Brassica juncea (L.) Czern) Cultivated According to the Vietnamese Good Agricultural Practice (VietGAP) Guideline in Thai Nguyen City. Asian Journal of Agriculture and Food Sciences 2(04): 329-335. Ha TM. 2014e. A Review on the Development of Integrated Pest Management and Its Integration in Modern Agriculture. 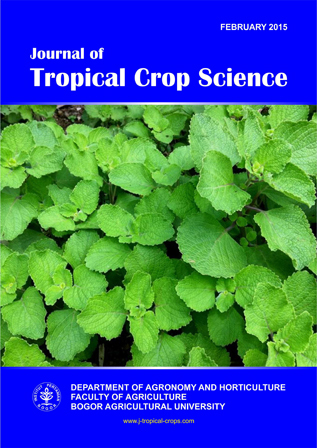 Asian Journal of Agriculture and Food Sciences 2(04): 336-340. Ha TM, Bosch OJH, Nguyen NC. 2015b. Establishing and Evolutionary Learning Laboratory for improving the quality of life of Vietnamese women in small-scale agriculture: Part II - Systemic interventions. Systems Research and Behavioral Science (In press, Manuscript ID: SRES-14-0111). Ha TM, Bosch OJH, Nguyen NC. 2015c. Systemic interventions addressing the market access challenges of smallholder vegetable farmers in Northern Vietnam. International Journal of Markets and Business Systems 1(01): (In Press, early online view: http://www.inderscience.com/info/ingeneral/forthcoming.php?jcode=ijmabs). Hanson P, Chen JT, Kuo CG, Morris R, Opena. RT. 2001. Tomato production. http://www.avrdc.org/LC/tomato/production/04climate.html [24 August 2009]. Hochmuth GJ. 2008. Production of Greenhouse Tomatoes - Florida Greenhouse Vegetable Production Handbook. University of Florida: Gainesville. Hofsvang T, Snoan B, Andersen A, Heggen H, Anh L. 2005. Liriomyza sativae (Diptera : Agromyzidae), an invasive species in South-East Asia: Studies on its biology in northern Vietnam. International Journal of Pest Management 51(1): 71-80. Johnson GI, Weinberger K, Wu M-h. 2008. The Vegetable Industry in Tropical Asia: Vietnam - An Overview of Production and Trade. www.avrdc.org/publications/socio/veg_industry/Vietnam.pdf [15th May 2010]. Jones JB. 1999. Tomato plant culture: in the field, greenhouse and home garden. CRC Press: New York. Koske TJ, Hall M, Hinson R, Pollet D, Sanderlin R. 2008. Commercial Growing of Greenhouse Tomatoes. Louisiana State University: Louisiana. Le N. 2013. Off-season production of grafted tomatoes in Bach Luu. Vinh Phuc Department of Agriculture and Rural Development. http://nnptntvinhphuc.gov.vn/index.php?action=details&idmuc=KNTT54L [15 March 2015]. Navarrete M, Jeannequin B. 2000. Effect of frequency of axillary bud pruning on vegetative growth and fruit yield in greenhouse tomato crops. Scientia Horticulturae 86(3): 197-210. Nguyen CT. 2008. IPM Strategies for tomatoes. http://www.khuyennongvn.gov.vn/e-khcn/phong-tru-benh-hai-tong-hop-ipm-tren-cay-ca-chua [31th May 2010]. Nguyen MQ. 2004. Tomato production guideline. http://agriviet.com/nd/100-qui-trinh-trong-ca-chua/ [15th May 2010]. Nuruddin MM. 2001. Effects of water stress on tomato at different growth stages. In Department of Agricultural and Biosystems Engineering. McGili University: Montreal; 113. Peet M. 2008. Sustainable Practices for Vegetable Production in the South: Tomato production practices. http://www.ncsu.edu/sustainable/profiles/pp_toma.html [31 August 2009]. Peet MM, Welles G. 2005. Greenhouse tomato production. CABI Publishing: Wallingford UK. Pham VH, Tran HC, To XP. 2002. An overview of vegetable production in the Red River Delta of Vietnam in general and Dong Anh District in specific. In The VEGSYS Research Project. Hanoi Agricultural University: Hanoi. Tran DV. 2005. Overview on tomato production and tomato varieties in Vietnam, Center for Agricultural Research and Ecological Studies (CARES), Hanoi Agricultural University: Hanoi. Tran KT, Pham ML, Ngo TH, Hart RS, Nicetic O. 2008. Good Agricultural Practices for tomato and cucumber production in Vietnam. Paper presented at the GAP Workshop, Binh Thuan. UK CABI. 1999. Bemisia tabaci. [Distribution map]. CAB International: Wallingford UK. VISTA. 2009. Introduction of six new tomato varieties. National Agency for Science and Technology Information. http://www.vista.gov.vn/nongthon/index.asp?mstl=3283&type=2 [15 March 2015]. Wijk Sv. 2008. The market for vegetables in North Vietnam, Wageningen University: Wageningen.